Beside the San Sebastian Cathedral and across the Plaza del Seis de Noviembre in Bacolod City, Negros Occidental, Philippines is the Bishop's House. The house was the former rectory of the San Sebastian Cathedral. 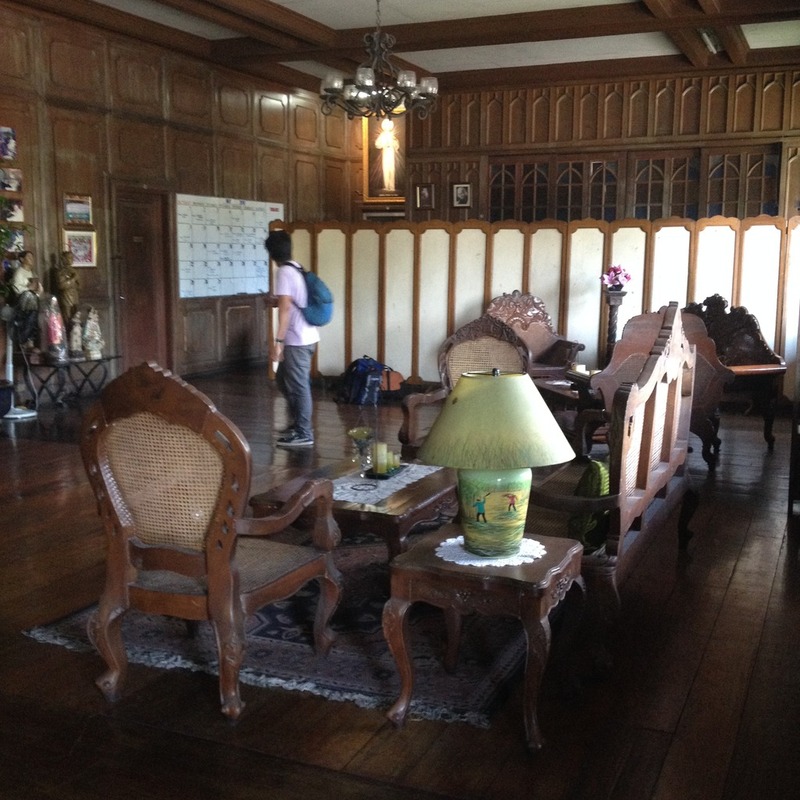 It was built between 1891 and 1894 with materials from Palawan and Guimaras. 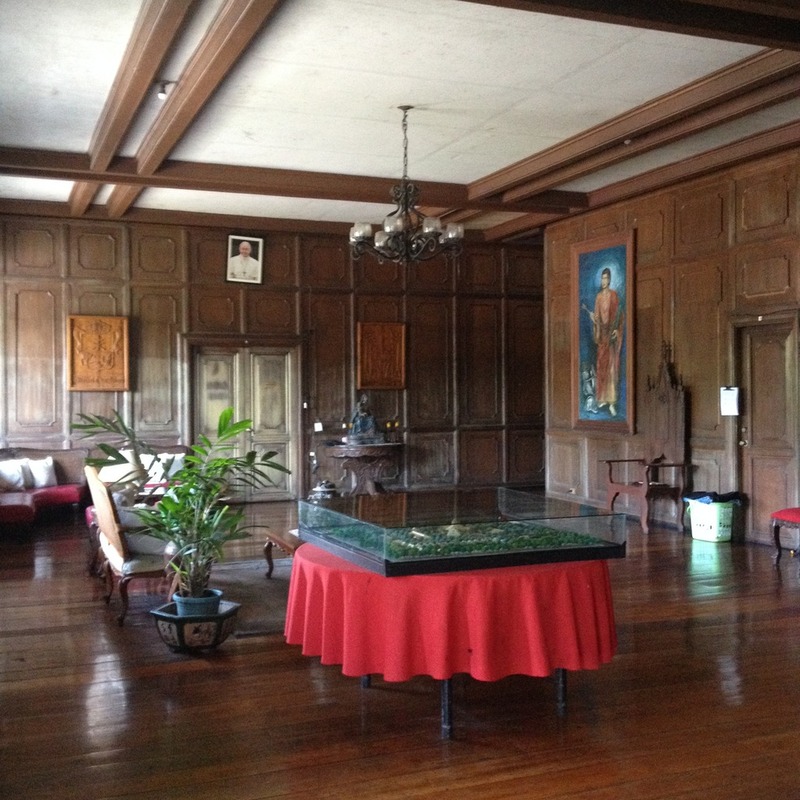 The living room of the Bishop's House is in the second floor of the building. Right at the landing at the flight of stairs leading to the second floor. It is adorned with many antique furniture pieces. And one can really feel the vintage vibe. There are some usual religious statues and paintings at the Bishop's House in Bacolod City. Yet there were a few pieces of art that caught my attention during my visit. 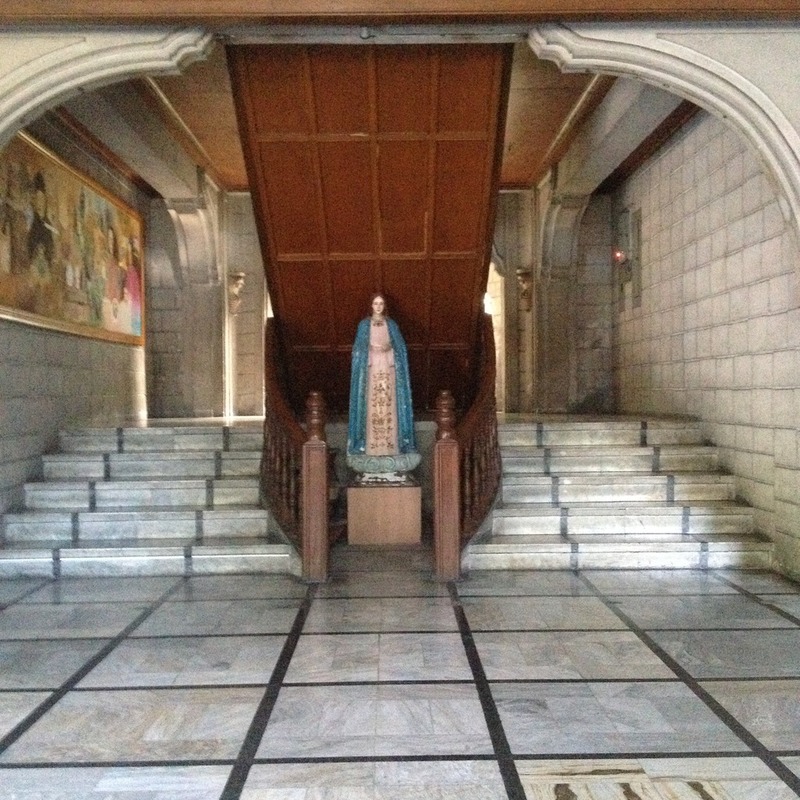 One was a Marian grotto right under a staircase leading to the second floor. Many of us are used to see an image of Jesus Christ nailed to a cross. A sculpture at the Bishop's Palace depicts Jesus Christ suffering differently. The image with several wounds in his chest, arms, and thighs had his left hand tied to a tree instead of nailed to the cross. The third art piece that drew my attention was the anti-abortion statue. 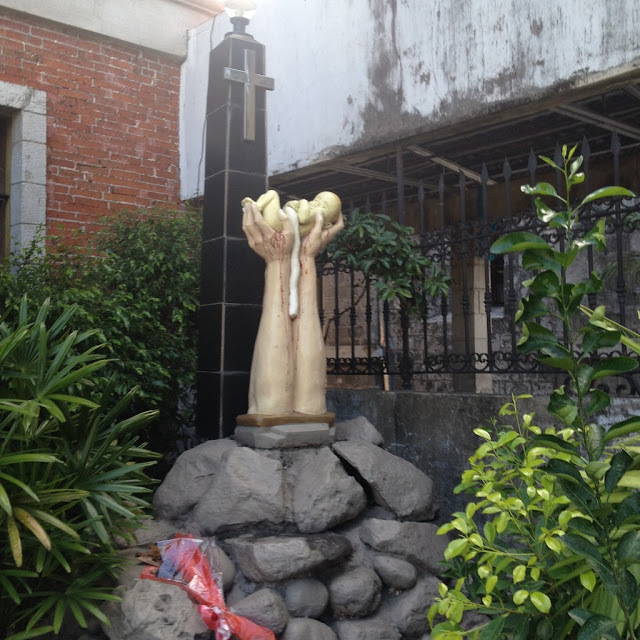 The statue have two hands lifting up an aborted baby before a column that bears a cross. 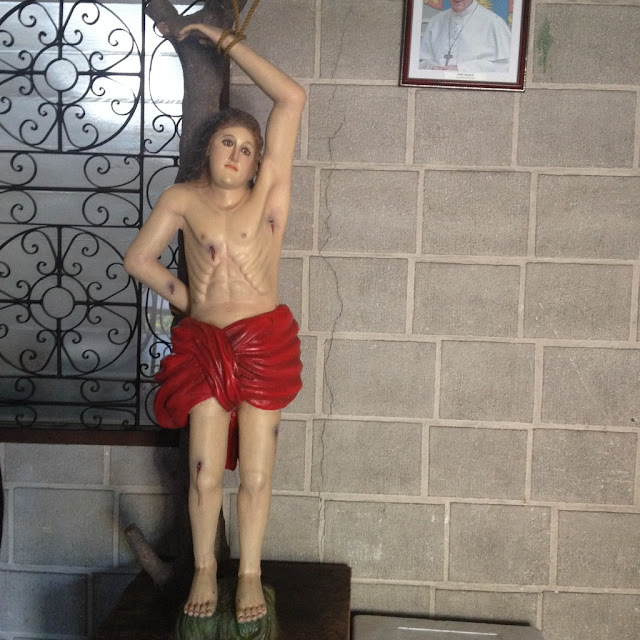 that's St Sebastian not Jesus tied to a tree. Please correct your description of the man tied on a tree. That is San Sebastian, the Patron of the Diocese and not Jesus Christ. Why will the Bishop of Bacolod allow a non-conformist and non-orthodox representation of the Lord. Also, that can't be a Marian grotto. See what a grotto is, a cave and that is no where near a cave. Please review your blog before publishing as it is misleading.